JOINT BASE PEARL HARBOR-HICKAM (JBPHH), Hawaii — Cmdr. 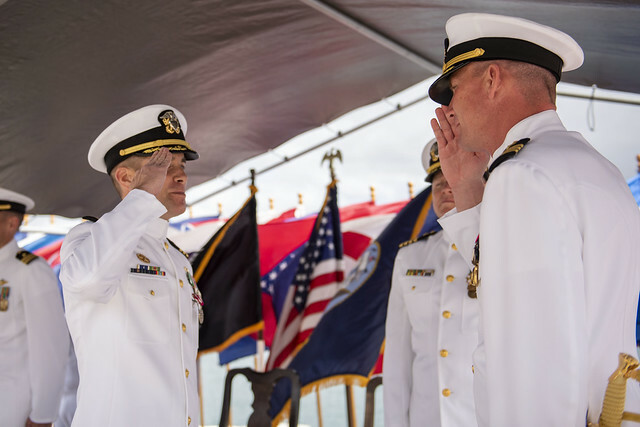 Christopher J. Forch relieved Cmdr. 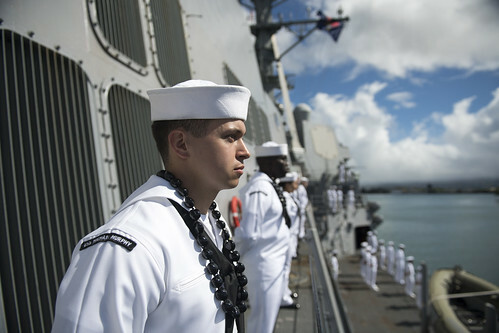 Kevin T. Louis as commanding officer of the guided-missile destroyer USS Michael Murphy (DDG 112) in a ceremony held at Joint Base Pearl Harbor-Hickam, March 1. 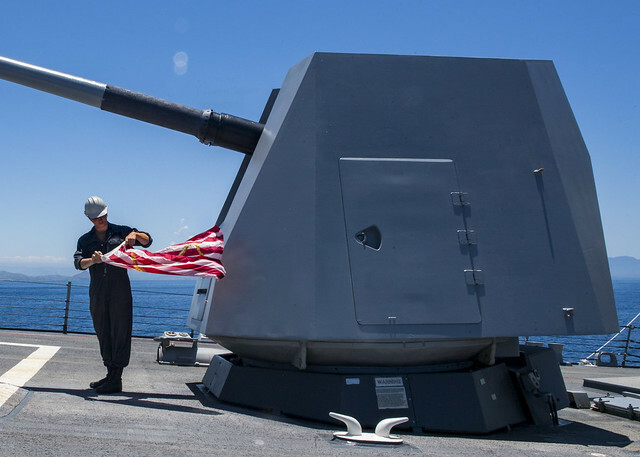 Boatswain's Mate Seaman Josh Saunders prepares to hoist the Union Jack aboard Arleigh-Burke class guided-missile destroyer USS Michael Murphy (DDG 112) as it arrives in Papua New Guinea. DARWIN, Australia - Sailors from guided-missile destroyer USS Michael Murphy (DDG 112) and a P-8A Poseidon maritime patrol and reconnaissance aircraft joined opening ceremonies for exercise Kakadu in Darwin, Aug. 31. 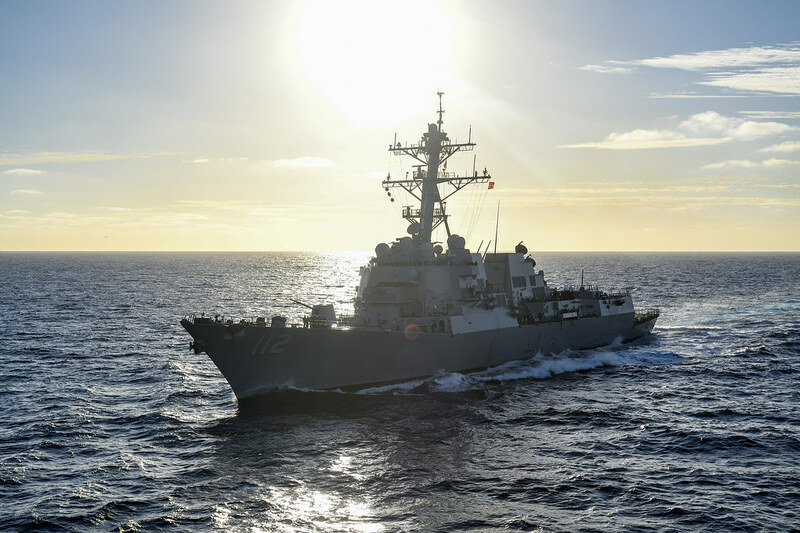 The guided-missile destroyer USS Michael Murphy (DDG 112) departed Pearl Harbor, Hawaii on Jan. 15, for a regularly scheduled deployment to the Western Pacific with the Carl Vinson Strike Group. 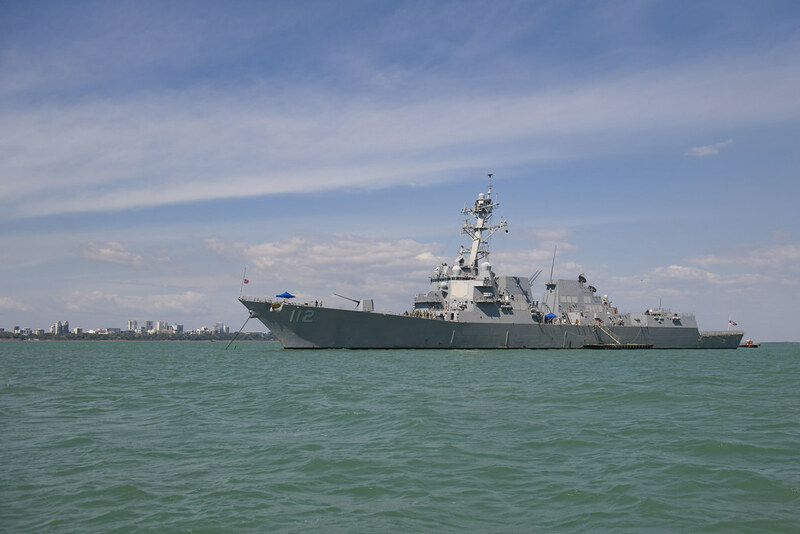 PEARL HARBOR (NNS)- Arleigh Burke-Class guided-missile destroyer USS Michael Murphy (DDG 112) returned to its homeport Joint Base Pearl Harbor-Hickam, June 13, after a successful five-and-a-half month deployment.